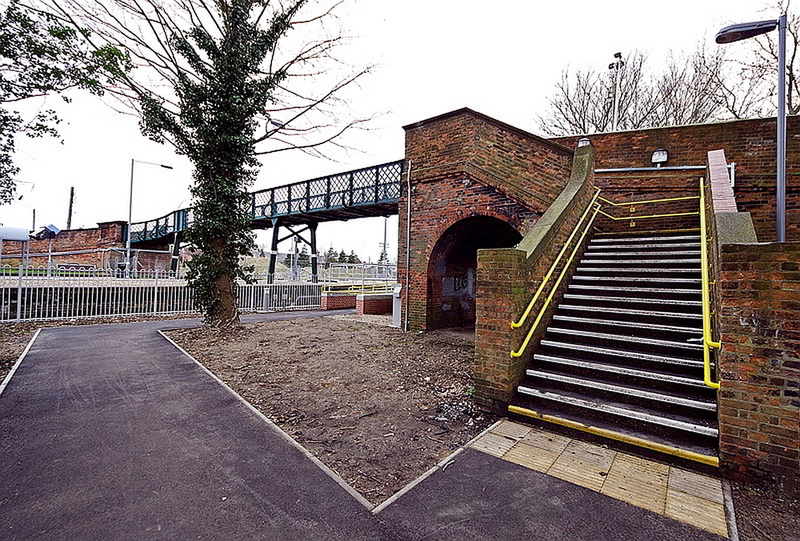 The previously disused platform at Beccles station is to be brought back into use along with a passing loop to accommodate Abellio Greater Anglia new hourly service. VEDA Associates were employed by Spence to undertake the multi-discipline detail design for the reconstruction of Platform 1 and new access requirements. The design engaged the following disciplines; Civil, Track, Electrical, & Telecoms. VEDA provided the design CEM and CREs for each of the disciplines that involved our supply chain for the electrical, and telecom designs. VEDA instructed the surveys and engaged the GI contractor to determine the soil stratigraphy and the soil percolation rates. The track design involved a gauge survey of the existing platform and a track design for a non-standard platform gauge that would accommodate future track lifting and slewing. The civil design included the refurbishment of the existing wrought iron footbridge and staircase, a new walkway and ramp onto the platform, and drainage provisions for the new platform. The electrical design comprised of new lighting columns to the platform & walkway, and the telecoms design was for CCTV and GSM help points. A progressive assurance route was proposed by VEDA to fast-track the civil works to achieve the 6 week construction period. VEDA work closely with Network Rail IP and Asset management team to secure acceptance of the GRIP 5 Stage design to minimise the DRN stage.